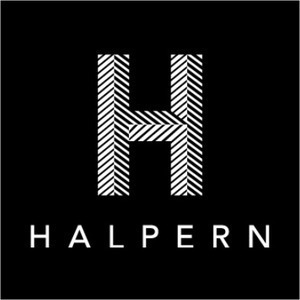 Employing fearless marketing tactics and unparalleled knowledge, coupled with three unique backgrounds, The Halpern Team has come together to make the home buying, selling, and renting process intelligent and seamless. Collectively creative and hospitable, The Halpern Team understands that "home is where the heart is" and will act as an extension of your family to ensure a winning transaction. As a native Brooklynite, team leader Steve Halpern brings not only a bevy of real estate know-how, but a passion and excitement to all transactions big and small. Steve’s background in music, including his DJing and producing career, gives him an eclectic background to draw from in order to better understand the gamut of clients in New York. Most noted is Steve's ability to craft and execute gripping and unique marketing plans, which have created record breaking results for his clients in both rentals and sales. His clients know multiculturalism means strength. Niklas Hackstein brings his international background as an asset to the Compass family, using his quintessential German efficiency and American drive to place buyers in homes in the greatest and most diverse city on Earth. His multifaceted management, organization, and marketing talents provide his clients with exceptional results. Born and raised in the bustle of Los Angeles, Trevor Alderson cut his teeth in Washington DC. Now based in NoLIta, he is an authority on city living in the United States. Drawing on his background as both a student and a professor of creative writing, Trevor brings directed imagination to every transaction. Choosing a new home and a new lifestyle is a pivotal moment in everyone’s story. With Trevor’s patient, cheerful, and transparent service, it will be a highlight. Andrew Rose specializes in high-end insurance relocation and residential sales. He understands the stress that accompanies making tough decisions, and always works to ensure that his clients feel confident in taking the next step toward their future. Outside of real estate, Andrew supports many social causes including animal welfare, LGBT and women's rights, and organizations that help homelessness. He works tirelessly to make NYC a better place for all - not only his clients. Thanks to the hard work and dedication of Digboo, The Halpern Team was able to elevate the standard of listing videos with their Muse Creative Award winning video, "A Space To Be You."